If there’s anything you can count on from Victory Brewing Company, it’s that their beers are labeled seasonally which syncs up perfectly to Thej2beerquest’s category structure. 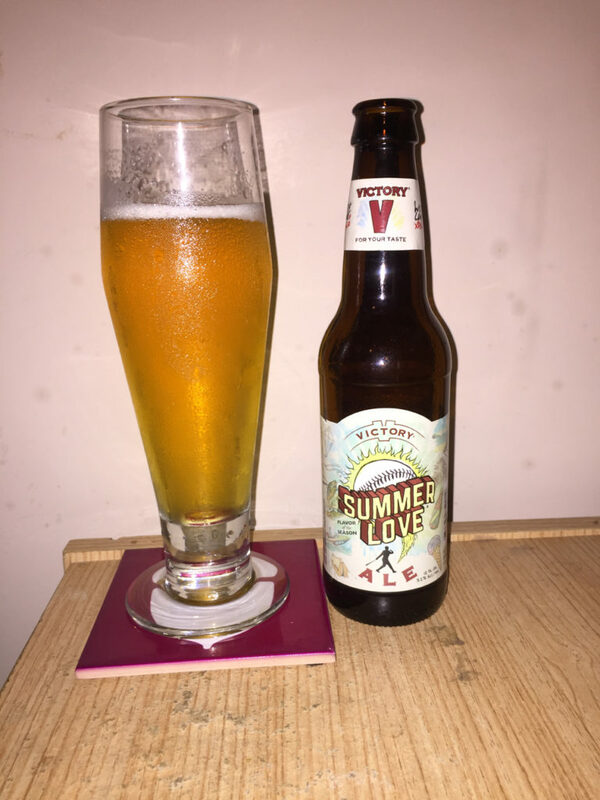 Justin previously reviewed Winter Cheers (or… Winter Jeers), and today I’ll review Summer Love. Lookit! It’s got ice cream and baseball and fishing and camping and kites and hot dogs on the label and nothing says summer like any of those things. I’d hardly call it a ‘burst’ of lemony refreshment, though I think I tasted something tarty when I swooshed around. I actually like this beer, though it’s hardly anything special. The site says it goes well with pizza, chicken and salads, but this being summer, I’d prefer barbecue and crabs… because that’s summer to me.